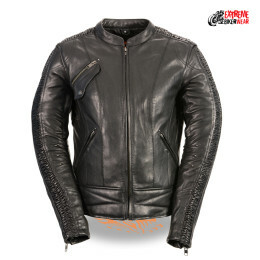 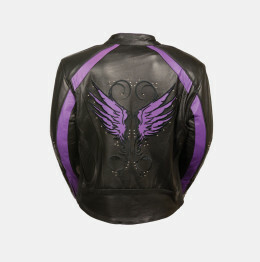 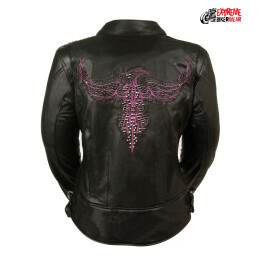 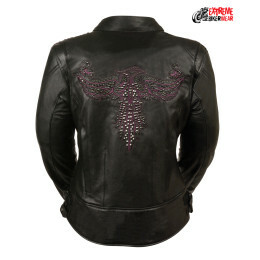 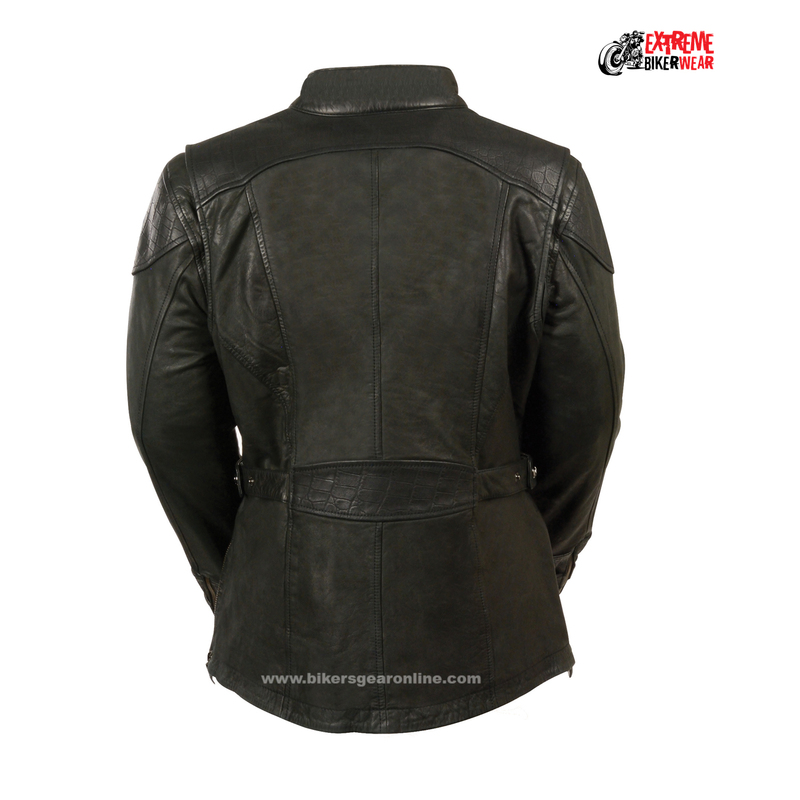 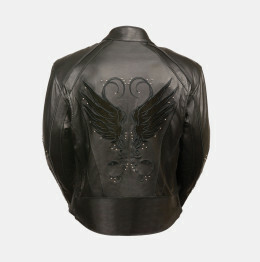 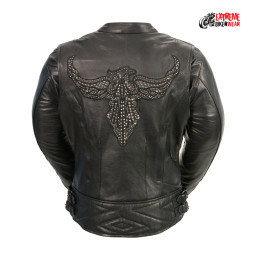 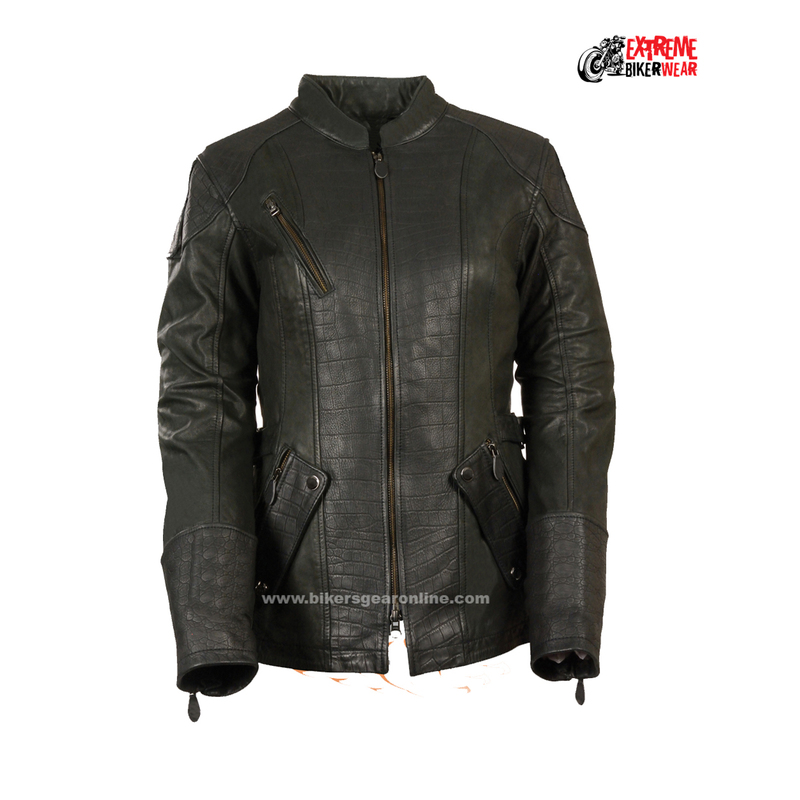 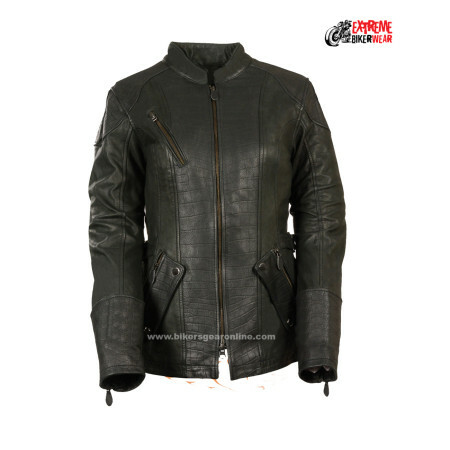 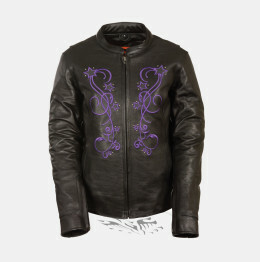 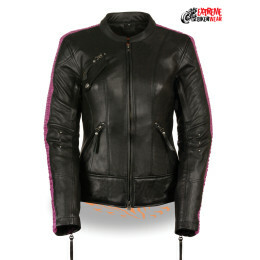 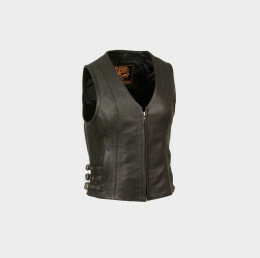 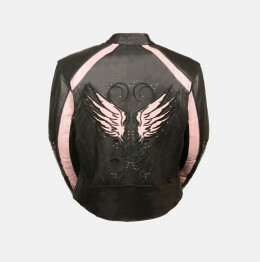 This ladies Motorcycle jacket is made of fine quality Leather and beautifully designed with Alligator embossed leather on front center panel, shoulder, cuffs &amp; belt. 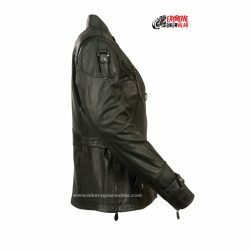 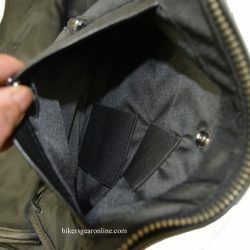 This is a very fitted hip length Jacket with zipper closure, side zipper and adjustable belt.This jacket comes with full sleeve zip out lining to keep you warm. 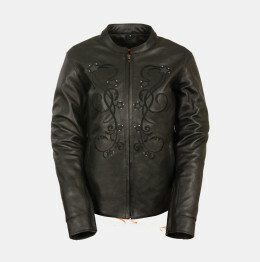 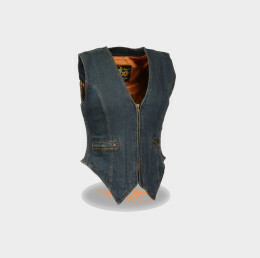 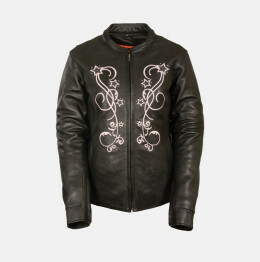 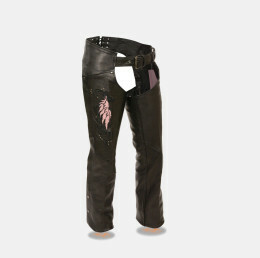 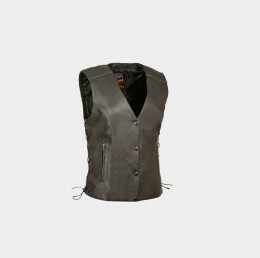 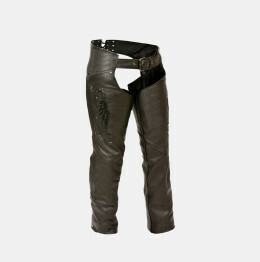 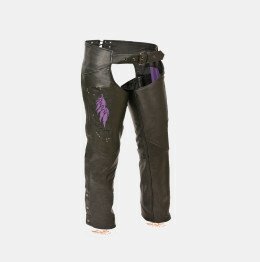 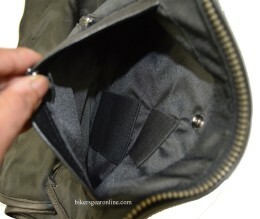 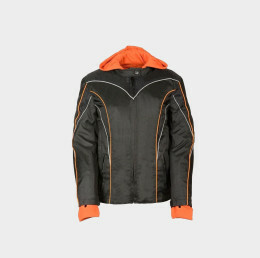 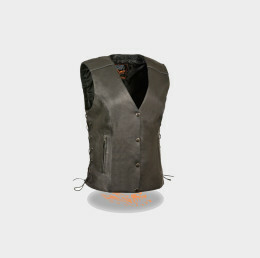 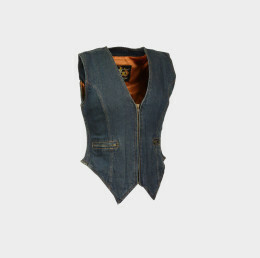 Beside 2 front lower hand zipper &amp; flap covered pockets, it also has zipper chest pocket and 2 gun pocket inside.